Location: One platform on either side of the level crossing at the jun ction of The Green and The Broadway. The Green roundabout now occupies the site of the level crossing. The second platform was between The Green and New Road continuing on the south side of New Road bridge. 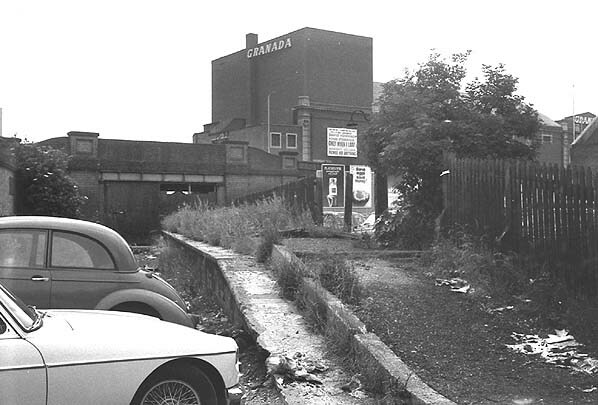 Present state: Demolished - the 1st platform is under the The Green Roundabout, the site of the second platform between The Green and New Road is now a car park. The platform continued under New Road bridge which is still extant as a pedestrian subway. South of New Road a multi storey car park for the Edmonton Green shopping centre stands on the site of the southern end of the platform. Notes: In September 1840 the Northern and Eastern Railway opened a line from Stratford to Broxbourne with an intermediate station at Edmonton. This station was, in fact over a mile and a half from Edmonton and was eventually to be called Angel Road from 1.1.1864. In 1849 the Eastern Counties Railway (who has by this date leased the Northern & Eastern) opened a branch from Edmonton (Angel Road) to Enfield with one intermediate station at Edmonton with through trains running from their London terminus at Shoreditch (later Bishopsgate). With the opening of the new Edmonton Station, the original Edmonton Station was renamed Water Lane. The branch was single track throughout with a single platform at Edmonton. The new line took a circuitous route in to London via Stratford and did not prove popular with commuters so in 1874 the Great Eastern opened a new direct double track line from Liverpool Street to Enfield, joining the earlier line just north of Lower Edmonton Station with a new high level station opening at Edmonton (named Edmonton Green) on 22.7.1872. With the opening of the new station the Enfield service via Angel Road was cut back to Edmonton the earlier station on the branch was renamed Edmonton Low Level. On 1.7.1883 it was renamed to Lower Edmonton Low Level (and the high level station became Lower Edmonton). Freight traffic continued to use the line which was also retained as a diversionary route. On 28.4.1957 Lower Edmonton Low Level was briefly reopened at weekends during engineering works on the Liverpool Street - Enfield line. The station was cleaned up and 'totem' signs from the high level station were fixed to lamp posts. 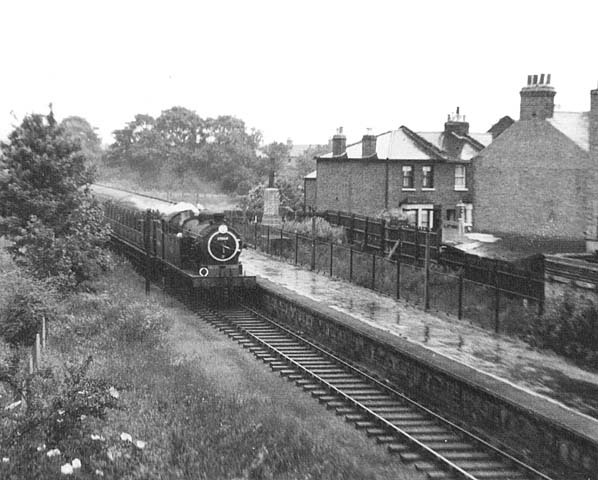 One of the last passenger train to use this station was a school excursion to and from Windsor Castle in the summer of 1959 hauled by a B1 class locomotive. Freight traffic continued until the end of 1964 and the track was lifted during 1965. 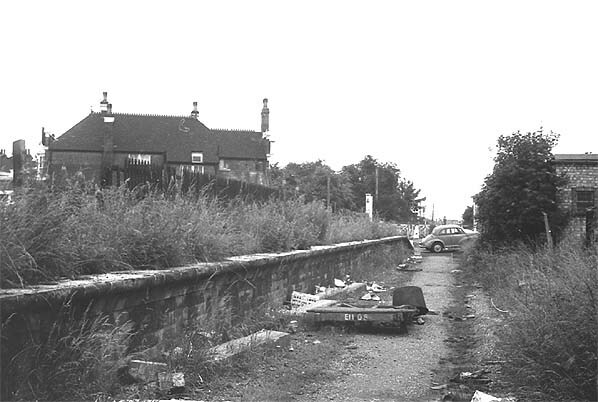 Lower Edmonton Low Level Station (2nd platform) in June 1968 looking south. The platform continued on the south side of New Road bridge.